The .45 ACP is an American classic that fuels the 1911. It’s a round that’s been through hell and back and has proven its effectiveness countless times. Regardless of where you stand in the caliber wars, there’s no way you can deny how effective it is at self-defense. For more info check out our Handgun Calibers Definitive Guide. 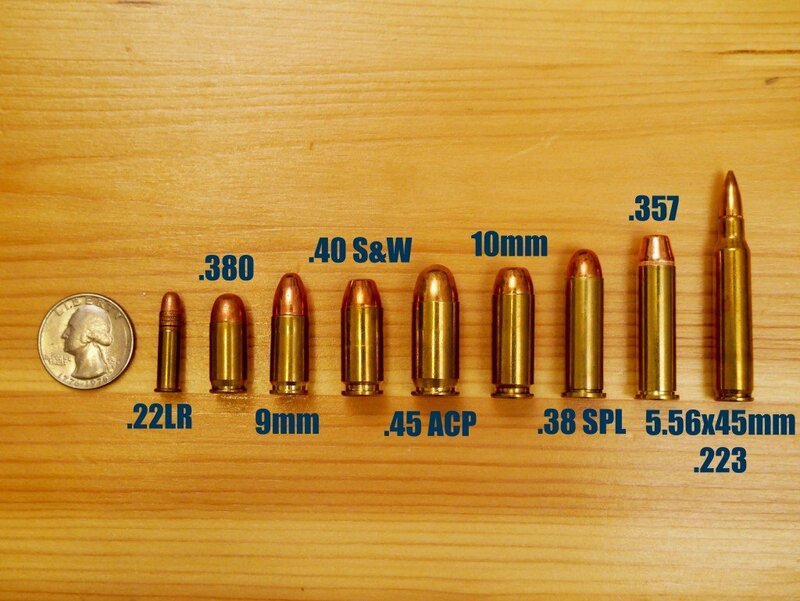 How do their .45 ACPs measure up against Smith & Wessons, Colts, and Springfields of the same caliber? About as good as any other Glock! They’re accurate, as dependable as humanly possible, and still got that Glock shape that people either love or hate. A Glock is a Glock, after all. You’re always going to get durability and reliability with them, even if it comes at the expense of an ugly design. 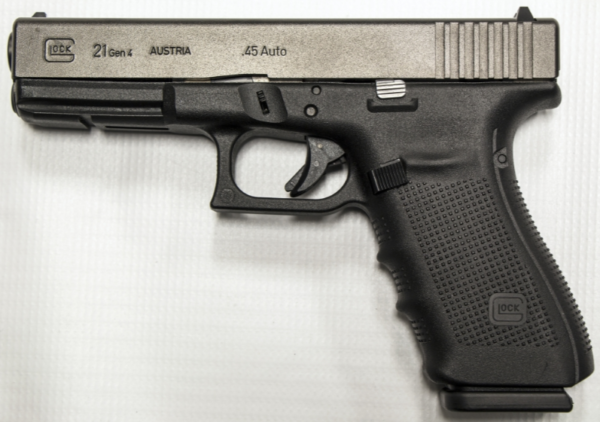 Today we’re going to look at some of the Glock .45 ACPs that are on the market. 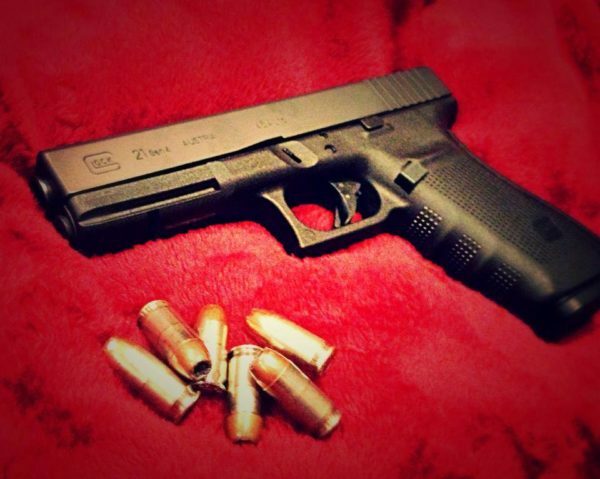 Know what’s great about the Glock 21? It has a 13+1 capacity (one in the chamber) for a .45 ACP. 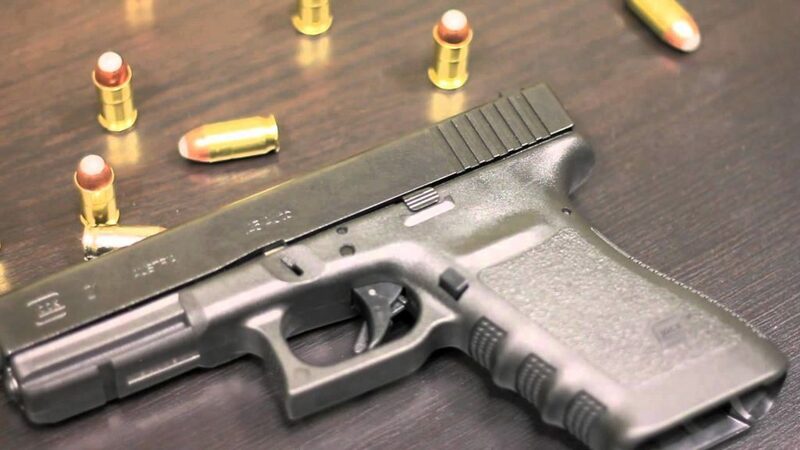 The G21 is the perfect answer to the gun owners who’re interested in owning a .45 ACP for defense purposes, but have remained loyal to the 9mm because of its capacity. The Glock 21 packs all the power of a 1911, with twice the capacity. An overall balanced handgun that offers minimal recoil and provides the same level of durability that Glock has always been known for. Plus, it’s lightweight and packs a heck of a punch. 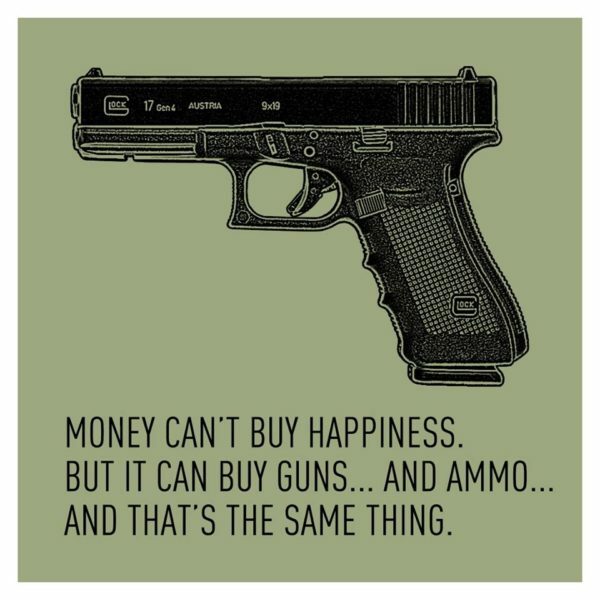 That’s probably why various law enforcement officers around the world swear by the G21 – it gets the job done. Along with the original G21, there are also two other variants: the 21 SF and the updated Gen4. The G21 SF is a smaller, lighter version of the G21. The SF stands for small frame and the gun is designed to feel more comfortable when being carried. Overall, there’s not much difference between the two guns in terms of performance. The 21 SF is just a little bit smaller. 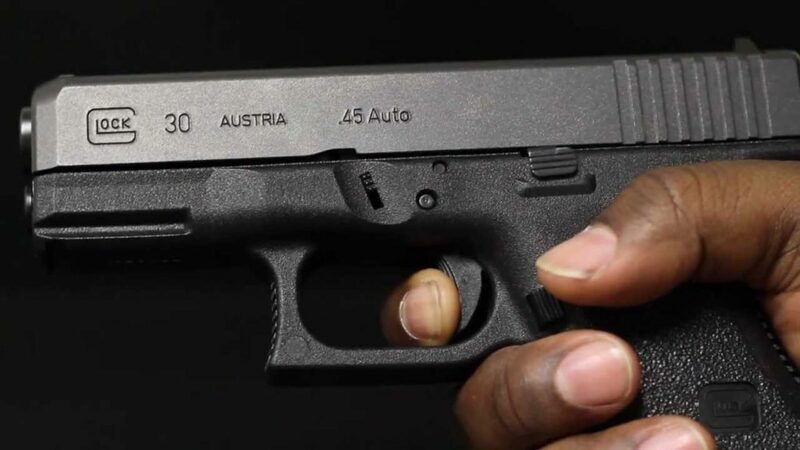 If you’re someone who doesn’t prefer the bulky grip of standard G21 but still want the dependability and reliability of a Glock, this gun might be good for you. Or if you have smaller hands. The width of the G21 SF is slightly shorter from front to back, making it easier to grab ahold of if your hands aren’t bear claws. Aside from that, the G21 SF has the same performance as its predecessor. The Gen4 version of the G21 is the same great gun with a few extra upgrades to boost performance and accessibility. For starters, the Gen4 brings the same slim design as the G21 SF, but also comes with the customizable Modular Back Strap which suits all types of hand sizes, giving the shooter maximum comfort and control over their gun. The Gen4 also has a different type of texturing on its grip and backstraps, allowing for a firmer grip without discomfort. Plus, no more need for stippling! 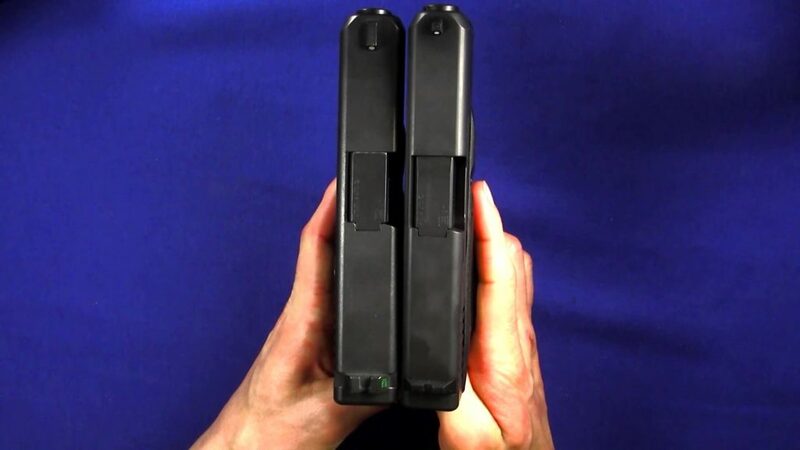 The other major improvement is the reversible magazine catch, which is designed to make magazine swaps as quick and effortless as possible. The Glock 30 is great for packing .45 caliber power in a compact form factor. Think of the Glock 30 as a slightly smaller cousin to the G21. Some people love it because it’s less bulky than the G21, while others complain that its size and weight give it unnecessary recoil, making it more difficult to control. Still, there aren’t many downright negative things that you can say about the G30. It’s a well-rounded gun that’s great for any situation. Some people just have a preference for the G21, which is why you should give both a test run before making your purchase. The G30 has a 10+1 capacity but is also compatible with the G21’s 13-round magazines, so you can squeeze a few extra rounds off in it. The other thing to consider is that that the gun’s grip is a little shorter due to its smaller size, so holding the G30 may take some getting used to at first. The Glock 30 is just the right size for a lot of folks. The G30 SF has all of the same features of the G30 with an even smaller, more compact size. If you already had trouble getting used to holding the G30’s smaller grip, the SF version is going to take even more time to adjust to. But if you’re looking for something a little more comfortable to carry around or you have small hands, the G30 SF is a good choice for you. 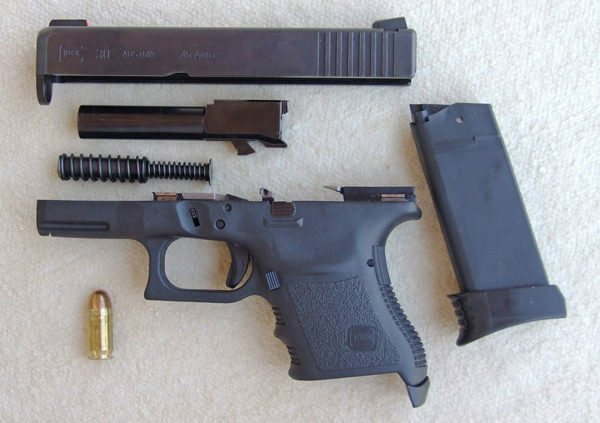 The Glock 30 is just as straightforward to disassemble as every other Glock on the market. The Gen4 G30 has the same weight and dimensions as the SF, but with a few extra upgrades that make the gun stand out from the original G30. Just like the rest of the Gen4 Glocks, this gun comes with adjustable backstraps to fit a variety of hand sizes, more aggressive texturing on the grip, a dual recoil spring, and a more ergonomically designed mag-release system. 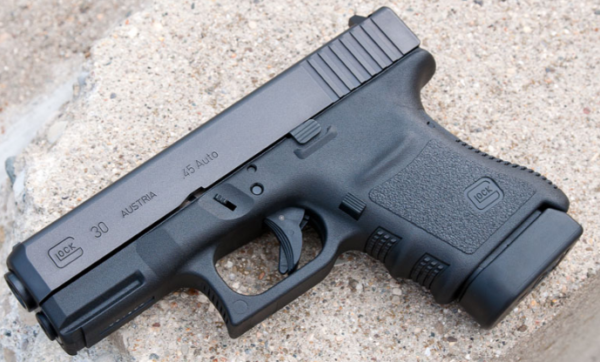 The Glock 30S is a subcompact .45 ACP with a slimmer slide and a lighter weight than its counterparts. It also has a recoil spring assembly similar to the Gen4 models, making the gun much easier to handle than some of the other subcompact .45 ACPs out there. Aside from that, there’s not much else different between the G30S and the G30SF. 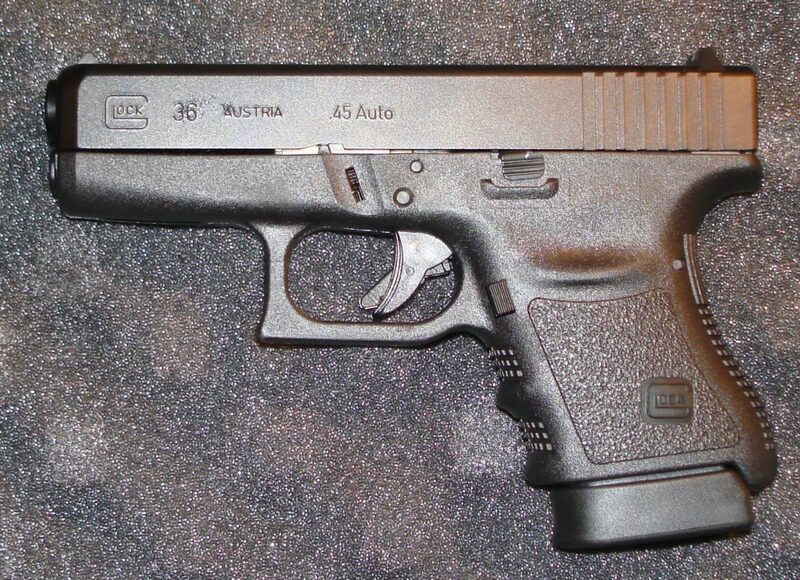 The Glock 36 is a subcompact .45 ACP using Glock’s SLIMLINE design. While smaller and easier to carry around than the G30 variants, the biggest drawback of the G36 is its 6+1 capacity. With that said, this single-stack pistol is great for anyone looking for a .45 ACP to conceal carry with. The G36 looks like every other .45 ACP Glock, just smaller. As with virtually every subcompact .45 ACP, the G36’s smaller size may take some getting used to. But the benefit that comes with the SLIMLINE design is that you can comfortably conceal carry any time of the year without sacrificing your firepower. The G41 is a competition-grade .45 ACP that’s known for its longslide design and low profile. It’s significantly thinner than the G21 and just like the rest of the Gen4 models, the G41 has adjustable backstraps, improved grip texture, and the dual recoil spring system that makes it an incredibly easy gun to manage. The G41 is an all-around great gun to have. It comes with a 13 + 1 capacity and its longer design gives the gun a great balance, which in turn improves its shootability. And an added perk is that you have more room to mount your gun light or laser sight without making the gun feel too cramped. Well, that’s it for the Glock’s current line of .45 ACPs that are still in production. Another benefit of owning a Glock is that you’re able to access a world of aftermarket parts. No matter what you’re looking for, there’s a company that makes it for Glocks. If you want to, you can turn your blocky hand cannon into something really cool. 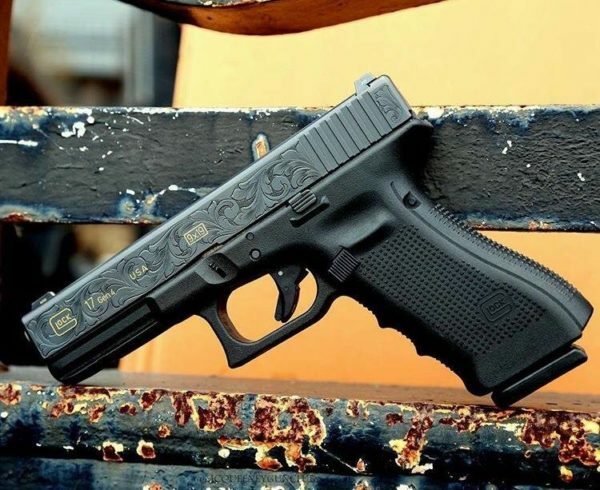 It may not be a .45 ACP but it is a mighty fine looking Glock. 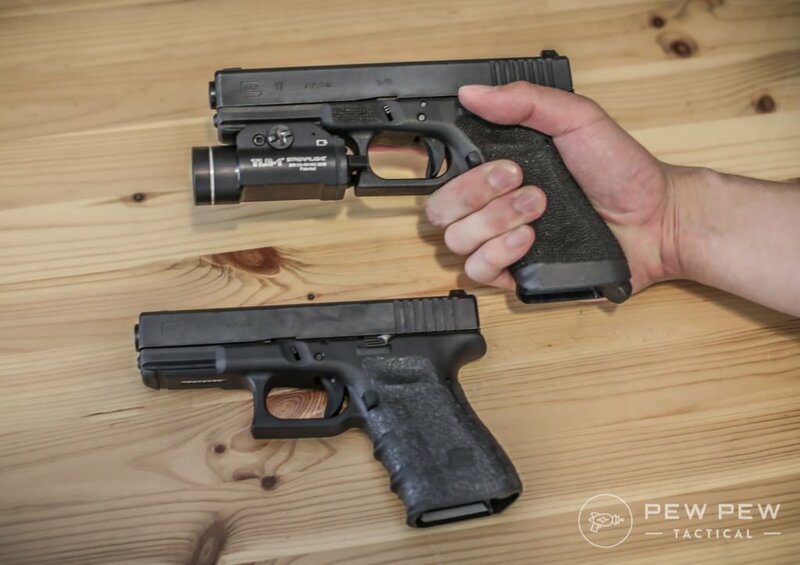 Also, don’t forget to check out our guide to custom Glock slides before you leave. There you have it…all the .45 ACP Glocks at least at the time of this last update! If you’re still choosing which caliber to use in your handgun…check out our Handgun Calibers Guide. What do you think? 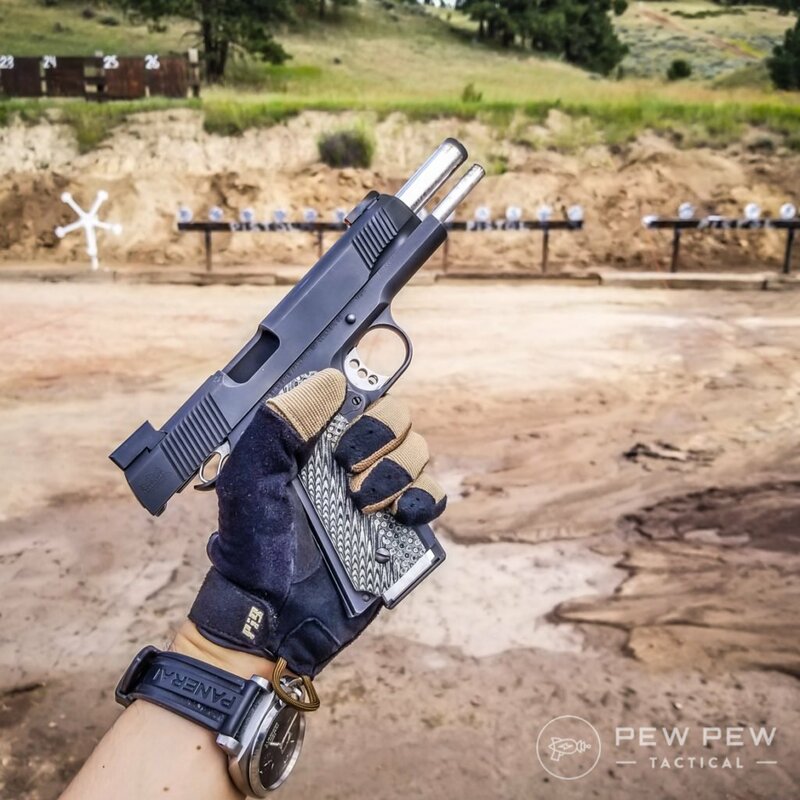 Is .45 ACP still the way to go…in a Glock? If you’ve made up your mind and want to upgrade your Glock a little…check out our 4 Best Glock Mods. Glocks are the meat and potatoes of the pistol world. I have the Glock 29 by side always. 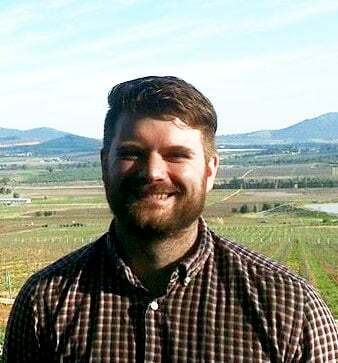 Good article Brandon. Has the writer actually fired a Springfield, Colt, or Kimber? My bullsye score on a Glock is 20 points lower than my Springfield 1911. Glocks are sloppy. They rattle when you shake them. I am not a competitive shooter, I carry daily as a consequence of my job.